The much loved and critically acclaimed holiday classic It’s a Wonderful Life is screened around the world each year in tribute to positive thinking, family, community and gratitude. Produced and directed by Frank Capra’s Liberty Films, the movie was a testament to Capra’s determination to escape the repressive Hollywood studio system and gain creative independence. With the film’s optimistic sentiments in mind, we warmly invite you to share some good Christmas cheer with us over drinks and festive snacks in the Centre’s library. All welcome; 2nd class angels included! 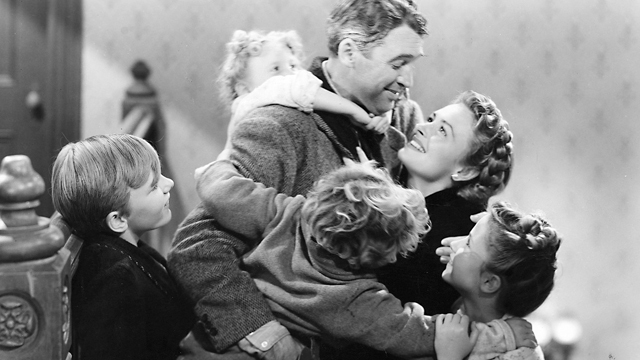 CIS researchers Sara Hudson and Michael Potter will share their thoughts on why they think it’s a wonderful life, with introductory remarks (and jokes) by CIS External Relations Manager Anastasia Glushko. And, as a special treat, we’ll also be announcing the winner and runners-up of The Nannies. Launched last year by CIS, these tongue-in-cheek awards target the worst nanny-state offenders in Australia. Last minute entries still accepted! Email CIS Communications Director kpincott@cis.org.au with your nominations. Close to St Leonards station. Metered street parking is available and there is a car-park close by with access via Pole Lane. There is no charge to attend this event but RSVPS are essential by Thursday, 10 December 2015.